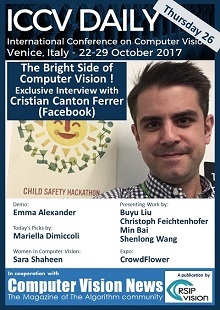 It is well known that ICCV 2017 was a major success: both in terms of participation (with an unprecedented number of participants, well over 3,100) and activity (let’s mention the record 44 workshops, 60% more than at ICCV2015 in Chile). 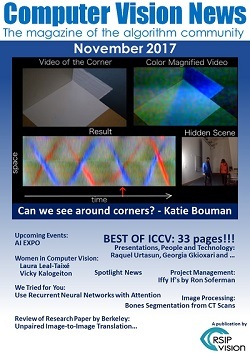 ICCV Daily set a nice record of its own, with 100,000 pageviews in the first two weeks since the publication of its first issue, a clear sign that the community enjoyed our work. 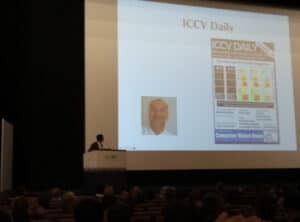 We will have to work hard to beat that at ICCV2019 in Seoul, South Korea. 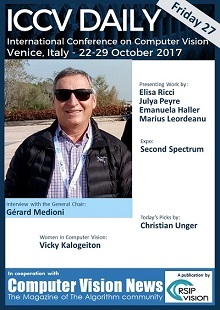 All this was made possible by the high quality work provided by event organizer theoffice.it and its charming team. 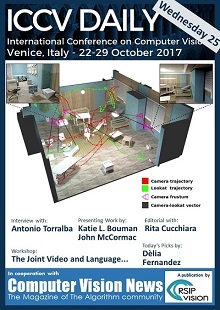 In the meantime, you can keep reading all RSIP Vision publications and learn about many of RSIP Vision’s projects. 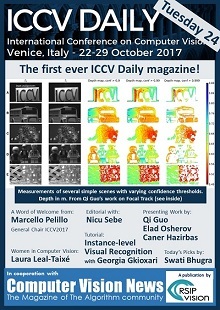 General Chair Marcello Pelillo introducing the first ever ICCV Daily magazine during the opening plenary session.